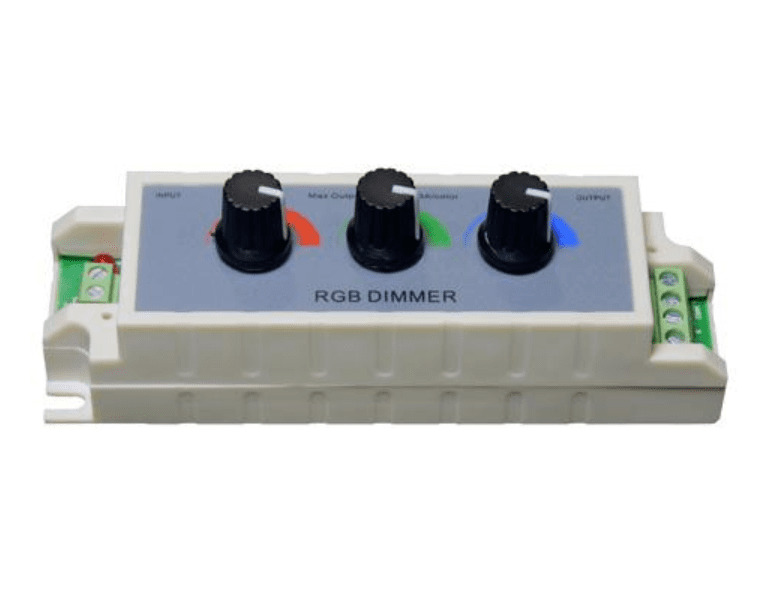 This compact unit provides the ability to independently control the intensity levels of the red, green, and blue channels of our RGB LED strips, to manually adjust the desired color and brightness. 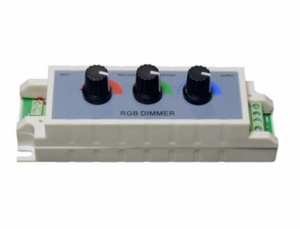 This is done by means of three rotary knobs located on the top of the housing. Maximum load is 3 amps per channel, 9 amps total.